"I am too young to prepare a Will" or "I don't need to prepare a Will", is common fallacy...which perhaps many of you would be able to relate. You see, dying intestate (i.e. without preparing a Will) can lead to various complications and disagreements amongst your loved ones / your legal heirs. And hence you ought to seriously think about estate planning. It can prevent the addition of financial and legal grief to your loved ones, besides the emotional grief they may be going through. All our life we work extremely hard to ensure the financial wellbeing of our family. So, when you pass away, wouldn't you want your loved ones to live in peace and joy? You would, right! You don't need to wait to accumulate lots of assets to transfer them or till you turn 65 to create a Will. Life is unpredictable and uncertain. The earlier you undertake estate planning, especially when you're in the pink of health, the better it is! It is wise to make provisions to leave behind assets, from the very first day you acquire one. We understand that life is dynamic and there'll be many ups and downs. But you can always revise the Will you've written; in fact, that would be a prudent cumulative approach to follow. Hence don't procrastinate and solemnly think about drafting your Will. If you're 18 years of age and above, of sound mind, and free from any coercion, fraud, and undue influence; you are eligible to write a Will. The Will should begin with the title 'Last Will And Testament Of (state your name)' to make it clear that the document is your Will. State your full name, current address, and the fact that you are of sound mental health and under no duress from anyone. Moreover, don't forget to date your Will. Even though it is not necessary, it is advisable to name an executor -- a person who will carry out the tenets of the Will. Choose a trustworthy person as the executor and seek his/her permission before you do so. This is because if he/she refuses to become one at a later time, there may be no one to execute your Will later, leaving it to the court to appoint an executor. 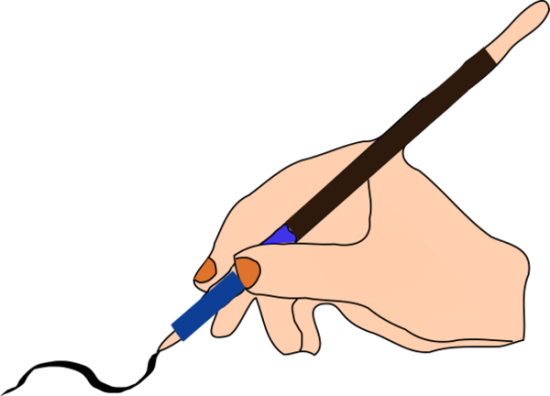 A Will can be hand-written or typed out. A stamp paper is not necessary. You can write a Will on a simple A4 size paper, sign and date it with two witnesses and keep it in a secure location. It is not compulsory for one to register a Will with the Registering Authority; but in order to avoid frauds and tampering, it is always preferable to get it registered. If you wish to register your Will, it can be done with the registrar/sub-registrar by paying a nominal registration fee. For Registration you need to be personally present at the registrar's office along with the witnesses. Also, it is preferable that the witnesses signing your Will are not the immediate beneficiaries of your estate or wealth. They could be two people whom you trust the most and are reliable. Also, it would be wise to inform the executor and family members about the whereabouts of your Will in order to avoid confusion later. If you wish to bequeath your assets to minor children, make sure you appoint a guardian till the time the minors reach an adult age. Ensure that the Will is simple, precise and clear, otherwise there may be problems for your loved ones / legal heirs. It is possible to make changes or minor alterations in a Will if you wish to do so. However in case there are too many or major changes, it will be better to make an entirely new Will. If more than one Will is made, then the one having the latest date will nullify all other Wills. Number each page of the Will serially and sign on each page. Ensure that the Witnesses too have signed. This is to prevent the Will being substituted, replaced, or pages being inserted by people intending to commit fraud. 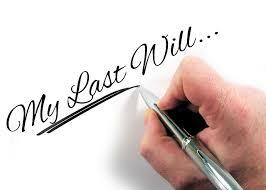 At the end of the Will, you (the Testator) should indicate the total number of pages in the Will. Corrections if any should be countersigned. Don't forget that while writing a Will, laws of the country along with one's religion also plays an important role. So, if you're a Hindu, any assets you acquired on your own can be bequeathed as per your wishes. But the property(s) which has/have been inherited from your father cannot be transferred as per your whims and fancies; as the laws of inheritance will apply. Although it is possible to draft a Will on your own, it is always better to take the advice of a trusted lawyer or advocate while writing a Will. This will reduce any chances of misinterpretation or frauds from relatives and also reduces the probability of the Will being claimed as invalid in the court of law. Remember, that your Will is one of the most important documents you'll create---detailing the distribution of the wealth to your loved ones. So, ensure that it's done correctly. The law does not know that you wished to leave a larger portion of your wealth to your financially weaker child, or you wanted to leave personal accolades, for instance a war medal, to your daughter who has a keen interest in war history. PersonalFN believes for all these reasons and in order to avoid being the reason of agony for your loved ones, you must start planning for your estate. Estate planning is one of the most essential aspects of our lives and should not be put off until it's too late. It is a dynamic process, which needs to be reviewed at regular intervals of time to absorb any changes that might happen in our lives or in the laws of our country. Dying intestate can lead to various complications and disagreements amongst your loved ones / your legal heirs. So go ahead and solemnly make a Will. 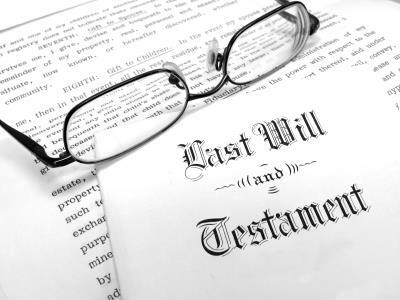 A Will is the cornerstone of estate planning. A well-drafted legal Will can ensure the financial wellbeing of your loved ones after your demise. The amount of wealth or your old age isn't the criteria to make a Will, As long as you have assets that are self-earned, go ahead and draft a legal Will. But make sure you are legally a major, of sound mind, free from any coercion, fraud, undue influence, or duress. Writing a Will can provide an understanding of your current financial strength (and even an opportunity to improvise in the remaining life span, especially if you've made a Will in the initial accumulation phase of your economic life cycle). It is vital for a Will to be simple, precise, and clear. You can even specify your funeral wishes in a Will. As an executor and witnesses for your will, choose those who're trustworthy and reliable. It is not compulsory for one to register a Will, but preferable as it avoids frauds and tampering. Prudently drafting a legal Will can prevent financial and legal grief to your loved ones.